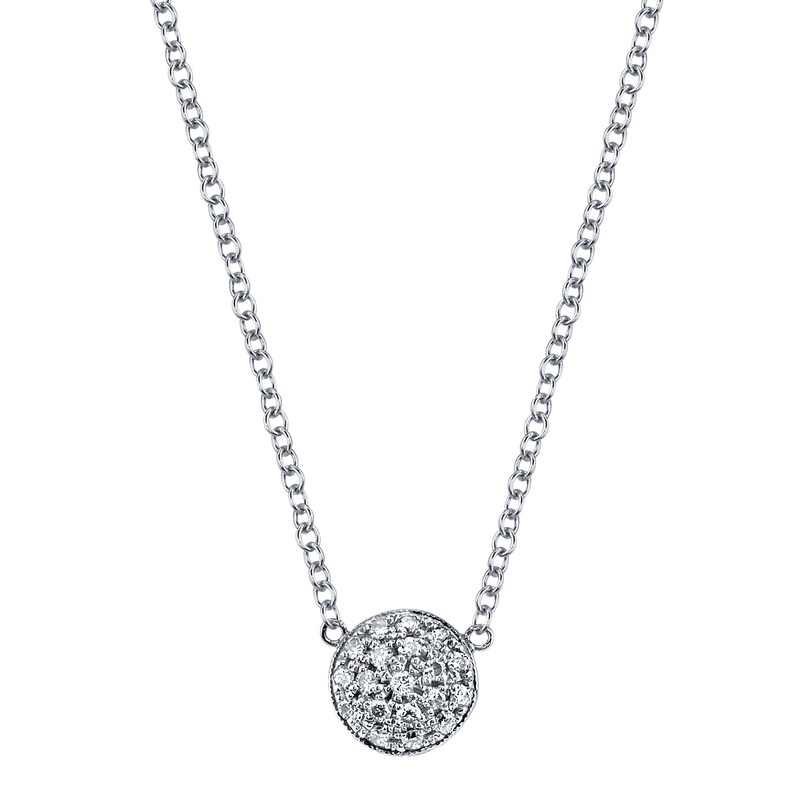 White gold necklace featuring a stationary pendant pavé set with 0.10 ctw of round brilliant-cut diamonds. The chain is 14k white gold while the pendant is handcrafted of 18k white gold. Chain is 16 inches long with lobster clasp.